The following is the result of the 1st Mt. 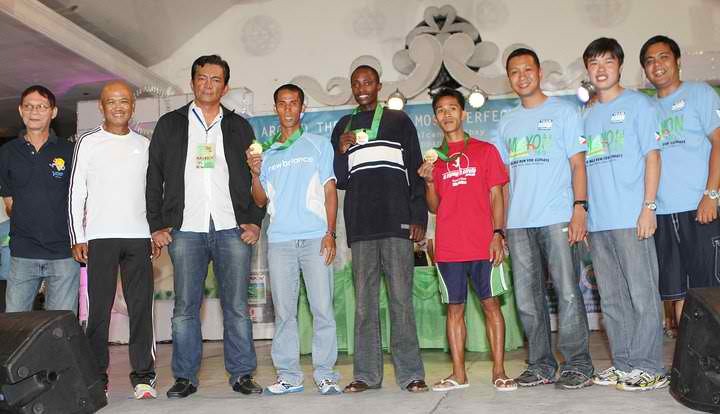 Mayon 360° 50-Mile Ultra Marathon Race in Albay which was held yesterday, April 2, 2011. A total of 69 ultrarunners started the race but only 59 finished the race within the cut-off time of 15 hours. Starting this year, all PAU and PAU-sanctioned road and trail races’ results published will have its corresponding PAU Points as the basis for the selection of the recipient for the 2011 PAU Runner of the Year Award. congratulations sir jovie! i’m sure it was a great PAU race. congratulations also to all ultra-runners, especially to Alley Quisay! God bless you all.